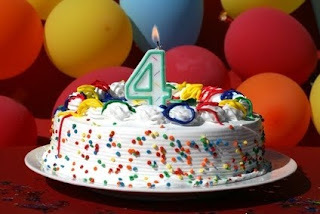 4 years of blogging.. 1.75+ million of hits and 101 followers - feeling blessed. Initially i started just for fun.. and later got inspired by many. i will consider 2010 and 2011 as golden time for my blog as i use to keep regular updates..I wish i will spend some time for my blog daily like that but iam not able to :(. There are many reasons not to update the blog.. marriage followed kid and onshore role.. made me busy in professional and personal life. 2009 there are very less sites and so there is scope to give updates..but now there are many sites and especially facebook, from here people are getting updated with all news. Even with zero updates , still i have 200-300 unique visitors per day..this boosts me to give regular updates and reviews. Iam planning to come back with my own analysis and discussion on movies and politics.. Hope you guys will give the same support :).